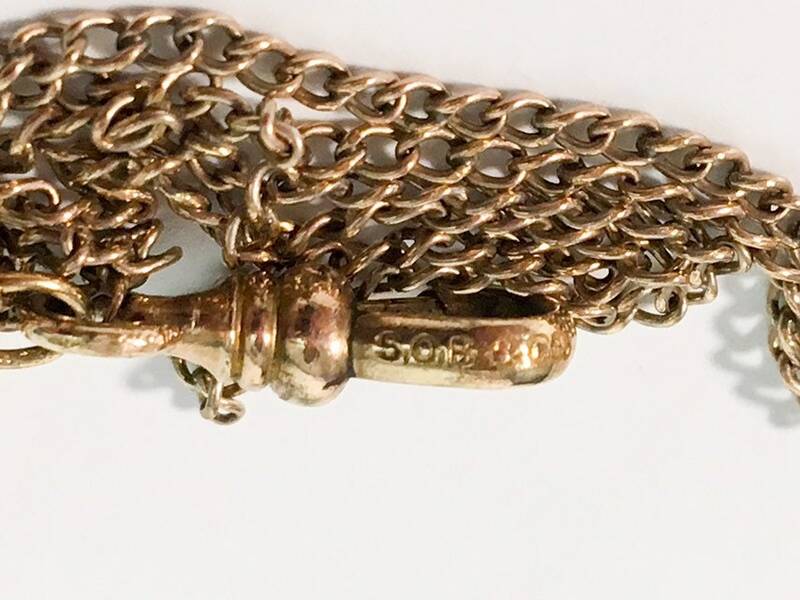 Antique Victorian Guard or Muff Chain - Long 48 Necklace w/ Center SOB & CO Clasp - Retro Chain Vintage Jewelry SO Bigney Co of Mass. 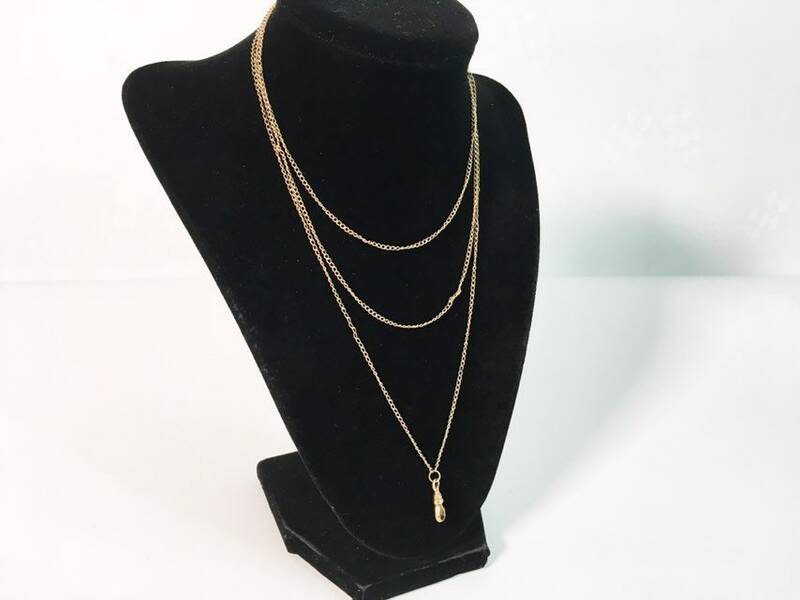 Antique Victorian Guard or Muff Chain - Long 48" Necklace w/ Center SOB & CO Clasp - Retro Chain Vintage Jewelry SO Bigney Co of Mass. 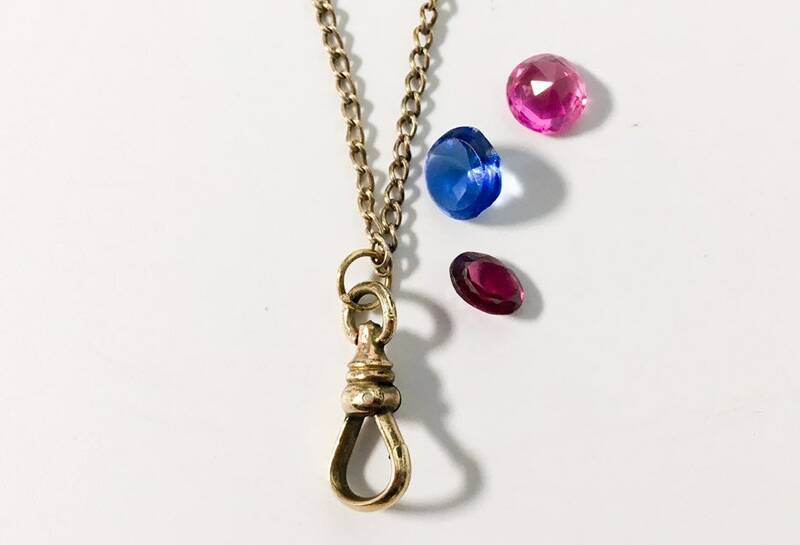 The links themselves on this vintage chain are are a very fine gauge link - they are very lightweight and get twisted easily as can be seen in some of the photos. 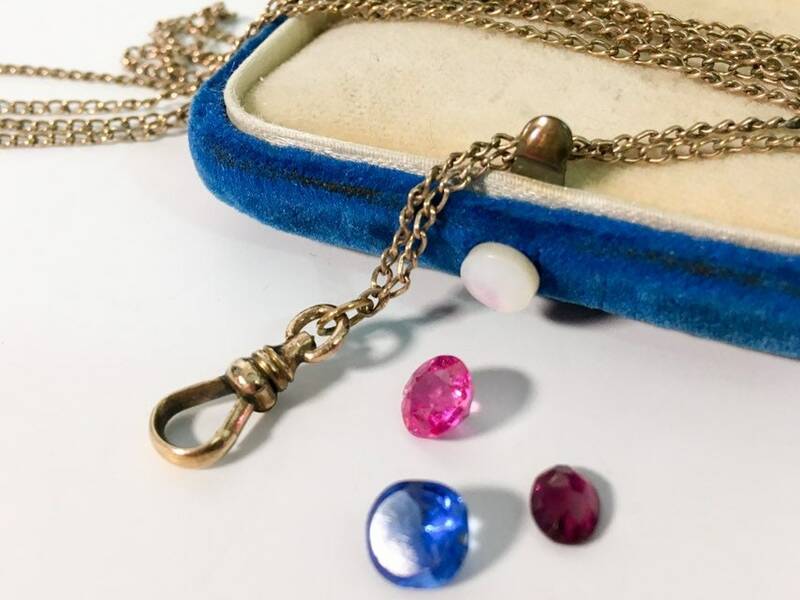 The dainty and fine chain has links are nonmetallic, but do not test as gold. 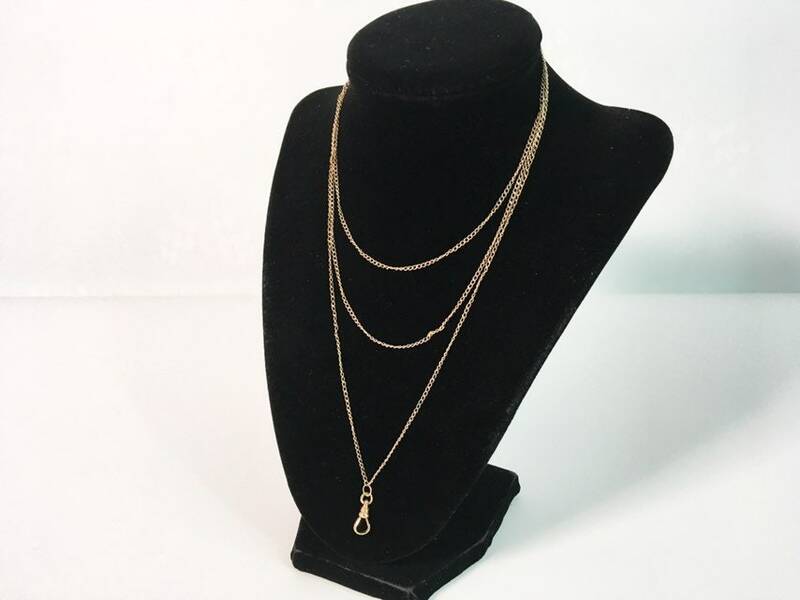 The gold tone metal Albert dog clasp at the center of this chain is hallmarked SOB & CO. 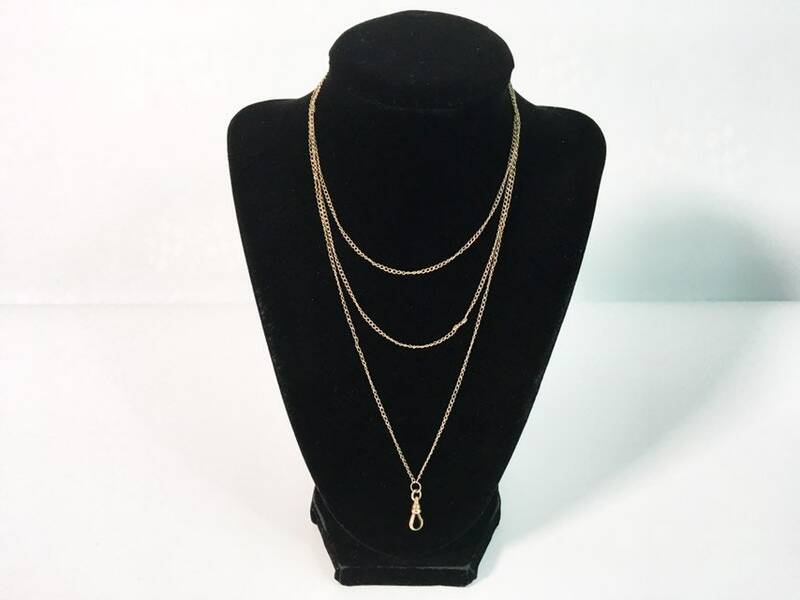 This chain is circa early 1900s. The chain links on this guard chain meet in the center and are joined by a loop to the Albert dog clasp in the very center. 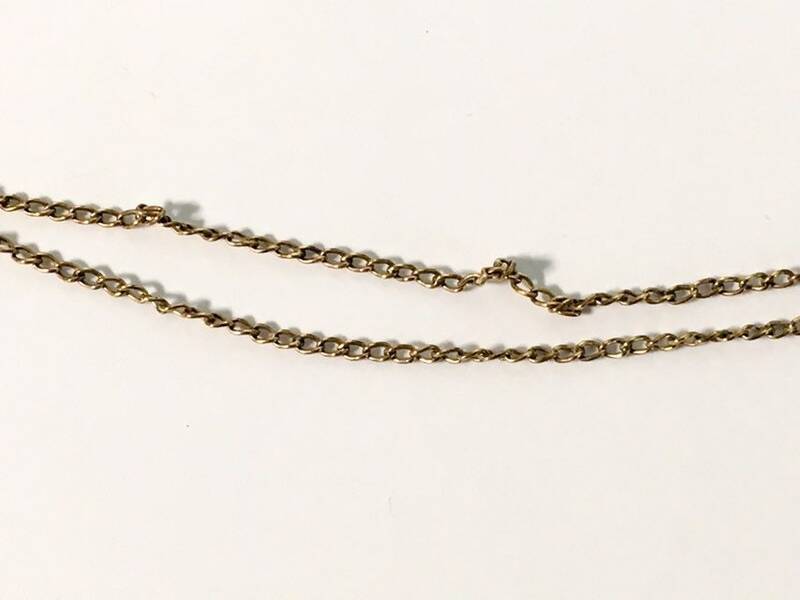 A Guard Chain was a long chain from which a key, watch or other object of use was hung. Guard chains could be up to 64 inches long. They were originally worn with the chain tucked into a woman’s belt, and the watch or object dangled from there. Muff chains were also long chains that were strung through a muff of fur that kept a woman’s hands warm in the cold. 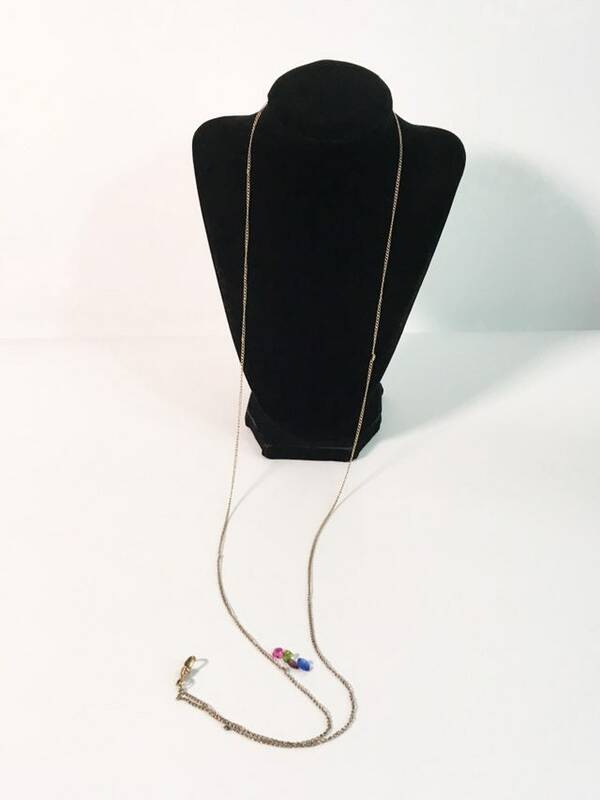 Both of these types of chains were popular in the late 1800s and early 1900s. 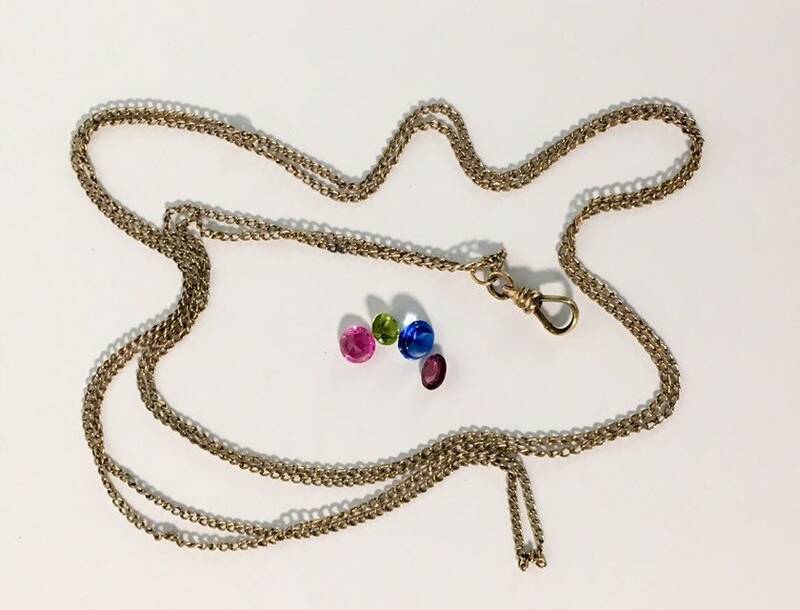 The Albert dog clasp/hook at the bottom where the two ends of this dainty link chain meet opens and closes securely. 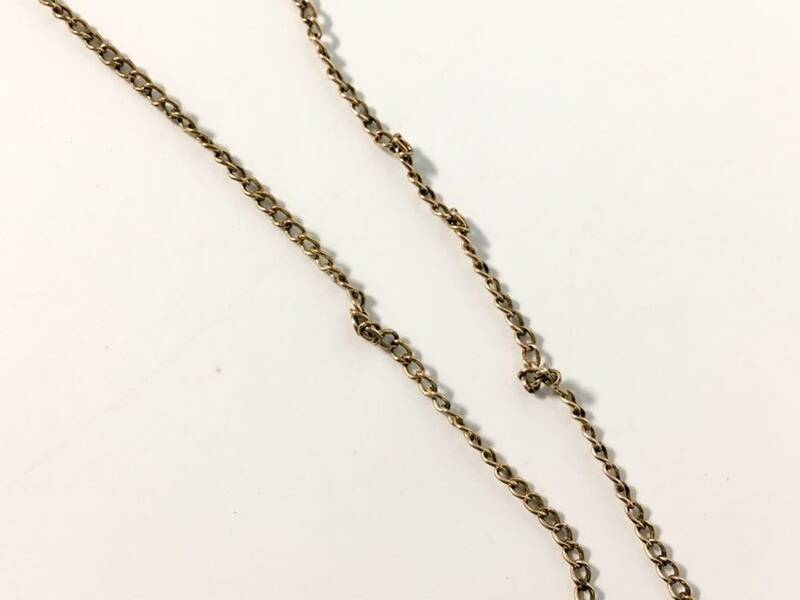 This antique chain measures 48" long. The clasp is marked "SOB & CO". This stands for the S O Bigney Co. of Attleboro, Mass. that was in operation from 1896 to 1946. In nice antique condition with light patina as would be expected an antique item. The clasp opens and closes securely. Would look great when worn as is or with a pendant or locket attached.